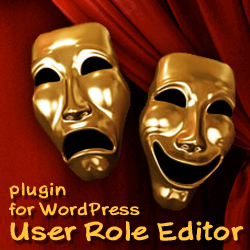 Version 3.2 of “User Role Editor” WordPress plugin is near to its release. I invite you to participate in testing cycle. If you have testing WordPress installation, please help to test this version in order to exclude bugs before send it to WordPress repository. I tested it at my developing environment, for single site and multi-site WordPress installations. Be sure however, that you have fresh backup copy of your WordPress database before setup this early version on the production site. 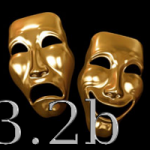 What’s new in version 3.2? – According to suggestions of multi-site WordPress networks owners “User Role Editor” will automatically duplicate roles from the main blog to every new created blog. Thus, there is not necessary to copy every custom added, modified role from the main blog to the new created one manually. – Some fixes, refactoring and logic change were applied to code to enhance its productivity. There were some complaints for PHP timeout error after trying to open plugin Settings page. – Thanks to Grant Norwood for code fix to hide PHP warnings he met during User Role Editor plugin usage. – French translation is updated. Thanks to Whiler. – Japan translation is updated. Thanks to Kaz. – Spanish translation is updated. Thanks to Dario. This entry was posted on Sunday, July 17th, 2011 at 12:01	and is filed under General, ShinePHP plugins news, WordPress. You can follow any responses to this entry through the RSS 2.0 feed. You can skip to the end and leave a response. Pinging is currently not allowed.